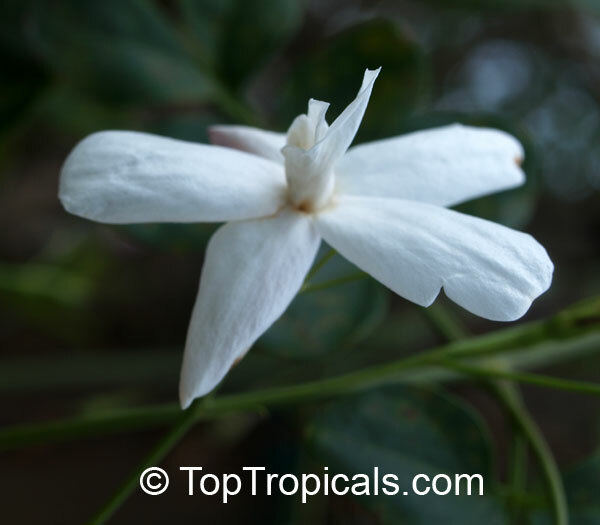 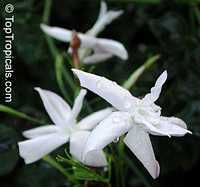 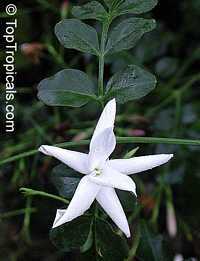 True Jasmine, Common Jasmine, French Perfume Jasmine, Poet's Jasmine, Catalonian J., Spanish J.
Semi-evergreen to deciduous vine. 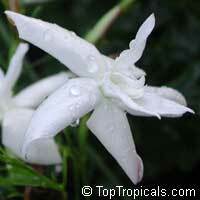 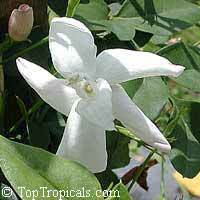 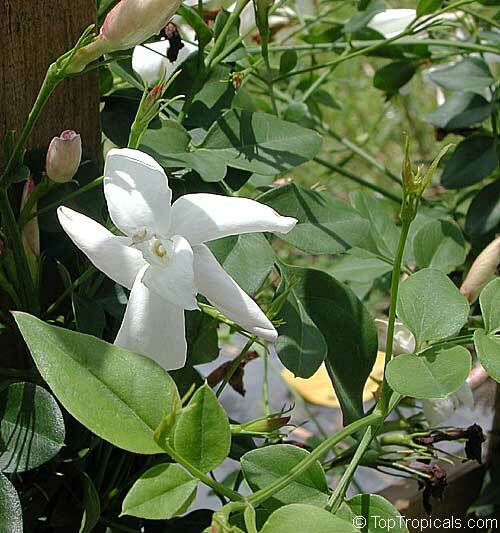 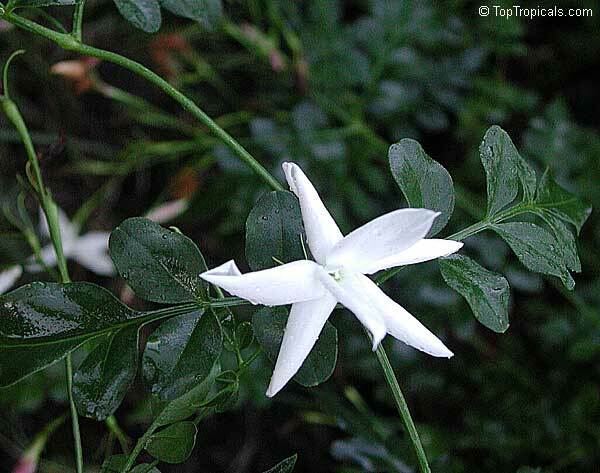 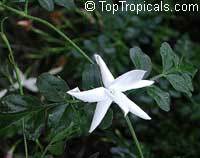 This vine has lots of fragrant white flowers in spring, summer, and fall. 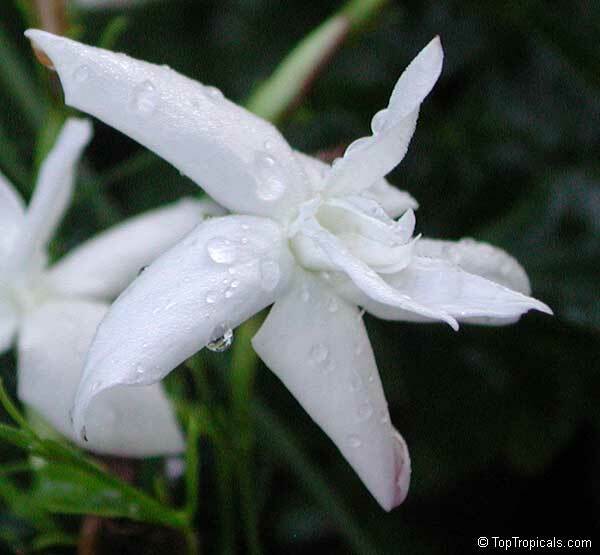 Blooms on new growth. Prefers a moist well-drained light soil enriched with organic matter. 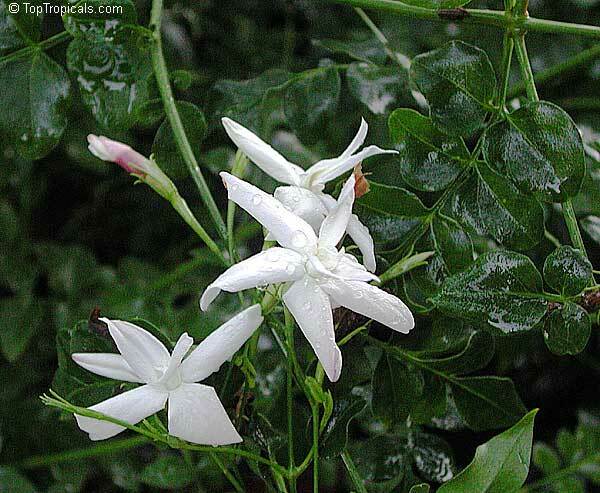 Drought and pollution tolerant. Jasmine associates nicely with climbing roses, honeysuckle or clematis, but it looks superb grown on its own. 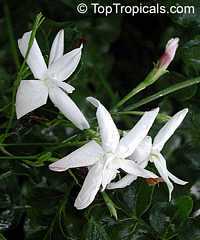 Grown in the perfume fields of Southern France, it has good tolerance to a wide range of temperatures and is easily maintained in pots. 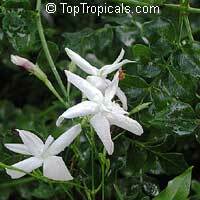 Cultivars: Aureoviegatum (variegated), Affine (large, white with pink inside).An age old Indian folk treatment, jasmine was used to suppress milk production. Apply fresh jasmine flowers to the breasts. 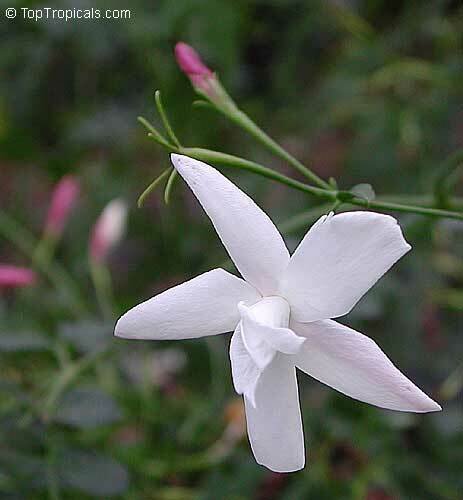 One Indian study matched bromocriptine with the application of jasmine flowers and both treatments were equally effective lactation inhibitors. 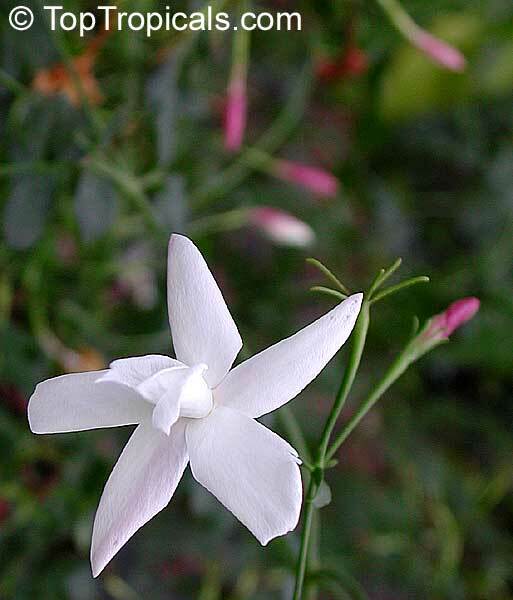 This variety has double flowers.